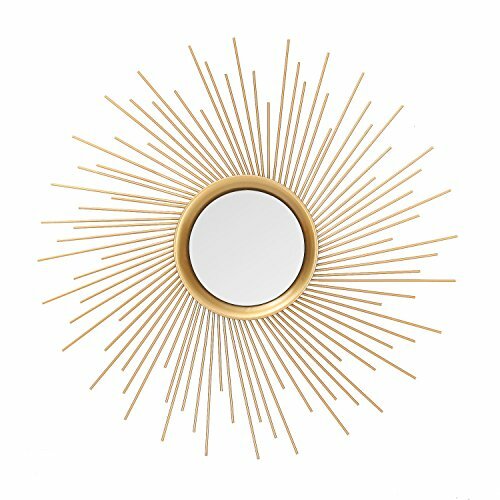 This Wire Sun Mirror makes a vibrant visual treat for the lovers of prolific and abstract art designs. It has a sturdy and superior-quality built. It features a well-made and intricately created wire design that lends a sunflower shape outlook to the mirror. Rich shades of rose sliver in this classic accessory. Free shipping. If you have any questions about this product by Asenseusa, contact us by completing and submitting the form below. If you are looking for a specif part number, please include it with your message.